Warner Bros is banking that not only will audiences love Margot Robbie in 'Suicide Squad' as Harley Quinn but that they'll follow her to her own spin-off movie. As if that wasn't cool enough how about if she invited Batgirl, Birds of Prey, and other female DC heroes and villains? It's reportedly happening thanks to Robbie herself. The Hollywood Reporter broke the news that Robbie pitched the idea to the studio after falling in love with all the characters while she was researching her 'Squad' role. She even worked with a writer to prepare a treatment and WB was sold. She'll be reprising her role as the anti-heroine and also producing the film. No release date has been divulged. It shouldn't come as a surprise that WB would want to further capitalize on Harley Quinn's popularity. Already a best-selling title for DC Comics, a fan-favorite since being introduced on Batman: The Animated Series, a video game staple on the Arkham Series, and with Robbie about to appear as Quinn in the character's feature film debut Harley Quinn has never been more popular. Not bad for the quirky sidekick/girlfriend of the Joker that broke out on her own. In addition, DC Entertainment has been making a concerted effort to produce more products to appeal to more girls and women. The lack of representation of female characters in merchandising, for example, led to the creation of DC Super Hero Girls line of toys, books, videos, animated shorts, online games, and costumes. The line-up features younger kid-friendly versions of Harley, Wonder Woman, Katana, Bumblebee, Poison Ivy, and Batgirl. They are targeted to 8-12-year-olds and have been a great boon for the DC brand. Some of those same characters should make their way into the film in a much more mature adaptation. Now, who exactly will be in the movie with Harley? With details being well guarded by the studio, the report only stated that names like Batgirl and Birds of Prey had surfaced. Batgirl is Barbara Gordon, daughter of Gotham City Police Commissioner James Gordon (Whiplash's J.K. Simmons will play him in the Justice League film), and was supposed to have been played by Jena Malone in Batman V Superman: Dawn of Justice but her scenes did not make the final cut. It's possible she'll get another opportunity or it could be recast. Following the shooting at the hands of the Joker in "The Killing Joke" comic book storyline, Barbara became paralyzed and took on the codename of Oracle. 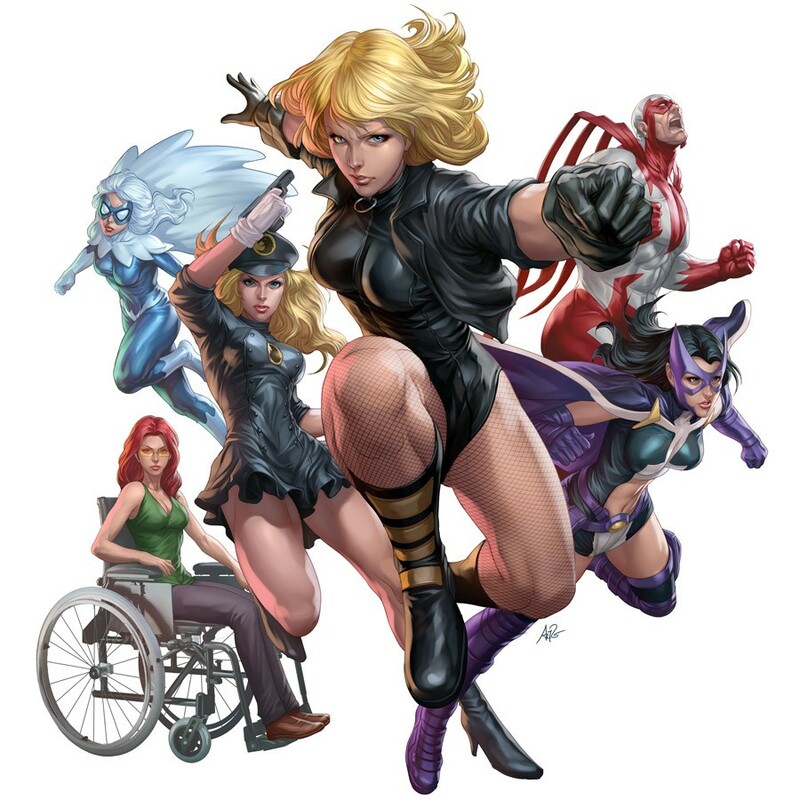 Along with Black Canary, they formed the "Birds of Prey," a team of revolving superheroes with Oracle providing information, logistics, and overall support from a clock tower base. Members over its history included The Huntress, Catwoman, Lady Blackhawk, Hawk, Dove, Big Barda, Manhunter, Hawkgirl, and others. It would be a shame to reintroduce Batgirl (Alicia Silverstone played the part in the disastrous Joel Schumacher Batman films) to moviegoers as Oracle instead of the jubilant crusader of justice in all her glory. On the other hand, having a handicapable character in a significant role in a superhero movie has its merits. The choices to make up a team of superheroes are pretty varied as are Harley's villainous friends. However, the closest to Harley have been Pamela Isley aka Poison Ivy and Selina Kyle aka Catwoman. They made up "Gotham City Sirens" in a comic book series that ran for two years beginning in 2009. Lately, she's turned over a new leaf and become more of fun comedic anti-hero teaming up with heroes like Power Girl in new books by Jimmy Palmiotti, Amanda Conner, and Chard Hardin. 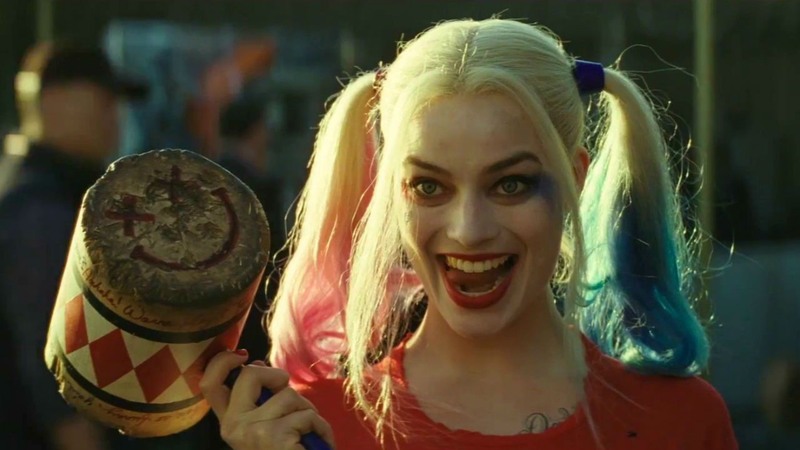 News about a Harley Quinn spin-off film is incredible for a number of reasons. WB/DC are finally broadening their offerings from their vast comic book history both on television and on film. They've realized that they can't rely on the golden goose named Batman to bring a windfall every summer. Especially, when everyone is reminding them that Marvel is reaping big rewards by producing lesser-known properties like Ant-Man and Guardians of the Galaxy. And here you have a story about a female protagonist, pitched by the woman that plays her, with a treatment written by a woman, about a film of DC's female heroes and villains. The fact that an actress would be that passionate about a character to sell the studio on a spin-off is a testament to the material and the yearning in the marketplace for such empowering fun storytelling. It would be easy to attempt to duplicate what Marvel is doing. Many people have suggested "just use Marvel's template" for blockbuster hits. Instead, WB/DC insist on doing it their way, for better or for worse. Marvel zigs, DC zags. It doesn't always work out in DC's favor but Marvel isn't planning on a female-centric ensemble superhero film anytime soon. Now would be a great time to break the mold, give the patriarchy a kick in the pants, and not only be different but be innovative. Batgirl Birds of Prey comic books Harley Quinn Margot Robbie movie spin-off Warner Bros.
Labels: Batgirl Birds of Prey comic books Harley Quinn Margot Robbie movie spin-off Warner Bros.